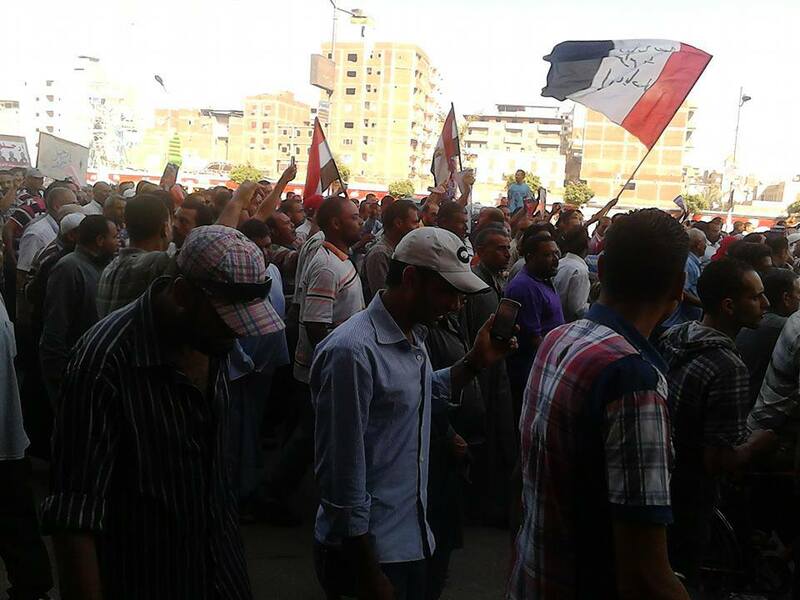 Thousands of workers from the giant textile mill in Mahalla al-Kubra marched out of the factory in a protest in solidarity with the ‘Rebel’ campaign against Muslim Brotherhood president Mohamed Morsi on 27 June. Carrying a mock coffin draped in posters with the crossed-out face of Morsi and Egyptian flags, the demonstrators marched through the town towards Shoun Square. Tensions have been rising across the Delta in the run-up to mass protests called the ‘Rebel’ campaign against Morsi on 30 June. 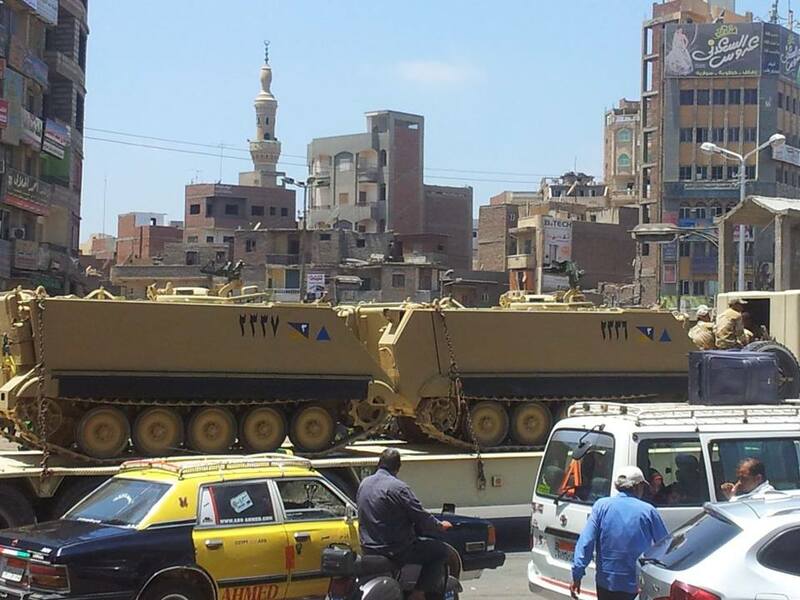 The army has deployed tanks and armoured cars across Egypt, including in Mahalla. On 21 June, a statement signed by the Mahalla workers’ movement denounced the Muslim Brotherhood government and hinted that workers were ready to take over the management of mill if their demands were not met. Posted on 01/07/2013 by melanielazarowartist	This entry was posted in Artists. Bookmark the permalink.